The 3DS’s annual lineup has grown thinner with each passing year. It had a sleepy fall 2018, punctuated only by a port of 2001’s Luigi’s Mansion and a Yo-Kai Watch spin-off, with nothing notable releasing in November and no new games at all in December. Since last September, 21 games have come out for the 3DS. That’s less than a game a week. The Vita has gotten 43, including the Persona 3 and Persona 5 dancing games over the holiday. Despite that asymmetry, the 3DS continues to do more with less. Both devices have barely any games coming this year, but while Sony prepares to cut off all remaining life support to a portable console wasting away on its deathbed, the 3DS feels like it’s soaring into the grave, by comparison, thanks to Nintendo’s continued commitment to it. It turns out great games can make for a great console, a lesson Sony seems to have learned in the era of the PlayStation 4 and unfortunately too late to change the Vita’s fortunes. Considering where it ended last year, Nintendo’s handheld started 2019 off with a relative bang. 3DS owners are currently benefiting from a last gasp of first, second, and third-party games this winter in the form of Mario & Luigi: Bowser’s Inside Story + Bowser Jr’s Journey, Etrian Odyssey Nexus, Yo-Kai Watch 3, and Kirby’s Extra Epic Yarn. The 3DS only has retail game currently planned for the 2019 fiscal year but even if it turns out to be the last it’s not a bad one to go out on. As Kotaku editor Chris Kohler pointed out on Twitter yesterday, the rest of the year is a desert. Persona Q2: New Cinema Labyrinth is the only retail game currently confirmed to come out in North America for the 2019 fiscal year, which begins in April. It’s also still possible Nintendo could announce further games in its next Direct, especially given all of the recent remasters and ports. Vita owners should be so lucky. While players in Japan will see the Catherine: Full Body remaster come to Vita later this month, North American owners will have to settle for physical releases of old games like Spelunky thanks to Limited Run Games. The Vita’s only notable upcoming new release is Fate/Extella Link, a Dynasty Warriors-style action game due out in March. After that: who knows, but those physical cartridge games will dry up since Sony won’t make any more carts after March. Though both portable consoles came out only a year apart, the 3DS in 2011 and the Vita in 2012, it became clear early on that Sony’s handheld was going to pale in comparison to Nintendo’s. 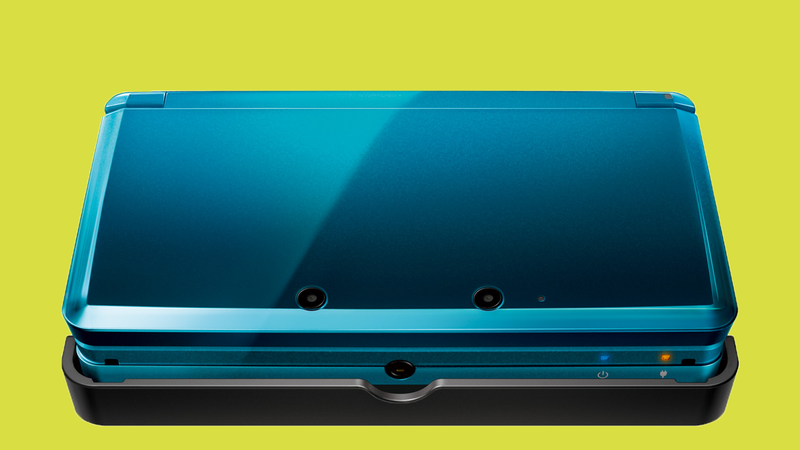 Nintendo doubled down on the 3DS despite a rough launch. Years of Mario, Pokémon, and Zelda games turned it into a worthy successor to the DS, Nintendo’s best selling console of all time. Sony eventually abandoned the Vita after it failed to find momentum with early first-party games like Uncharted: Golden Abyss and Killzone: Mercenary and mediocre ports of big console games like Borderlands 2. Catherine was a cult classic on the PS3 and a solid Vita port would have been a nice parting gift to the portable’s North American fanbase. As of December 2018, the 3DS had sold 74.84 million units. Nobody knows how much the Vita sold since Sony stopped releasing sales data early on in its lifecycle, instead combining it with sales of the PlayStation TV and PSP. 7 million sales were reported for that part of the business by the spring of 2013, followed by an additional 4.1 million in 2014. Sony stopped reporting even those combined numbers by 2016. As a result, Vita owners have spent the last few years watching the handheld continue to crawl along, buoyed almost exclusively by the occasional monthly PlayStation Plus game and indie developers who continue to port their wares due to the console’s reputation for players who will buy lots of games.